Paint & Trim now offer a custom made re-trimming service. At the Kinmel Bay workshop we offer replacements to worn seat panels, full leather re-trims in various colours (swatches available) sourced from Scottish and Italian hides. We also work in Alcantara, vinyl and cloth and are approved suppliers to Mercedes-Benz UK. We source from various places around the country and abroad to bring about your requirements. 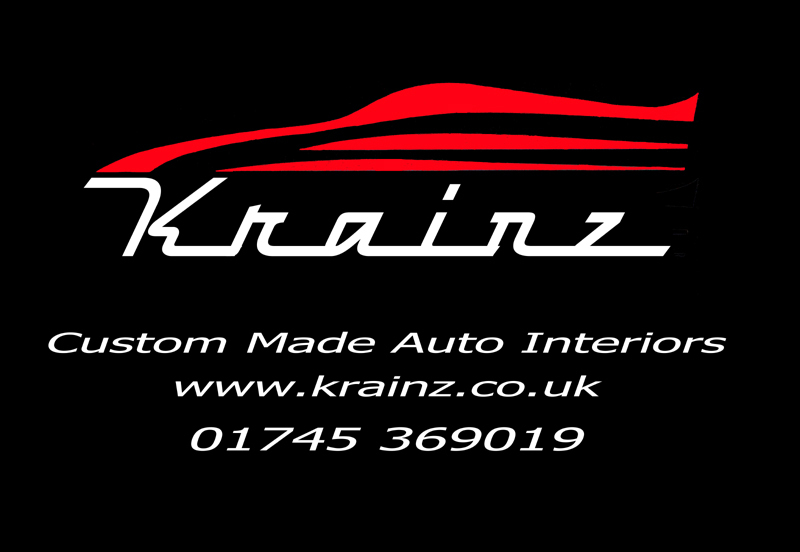 Krainz is a wholly-owned, family-run business within Paint & Trim. Are you tired of the way your current interior looks? Fed up with that annoying worn-through seat squab or bolster? Fancy something to make your vehicle stand out from the crowd? Photos will be posted on the Photo Gallery page! Paint & Trim is a well established company operating successfully in the Private, Fleet and Motor Trade markets. We are also used by many of the main insurance companies such as Churchill, Direct Line, Norwich Union, Zurich, Budget and AXA to carry out a variety of in-house repairs.